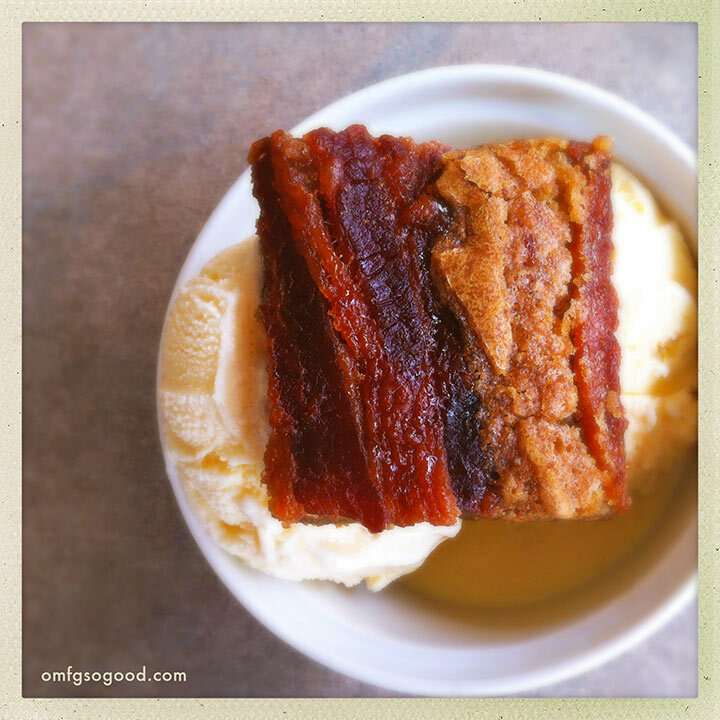 candied bacon maple blondies | omfg. so good. 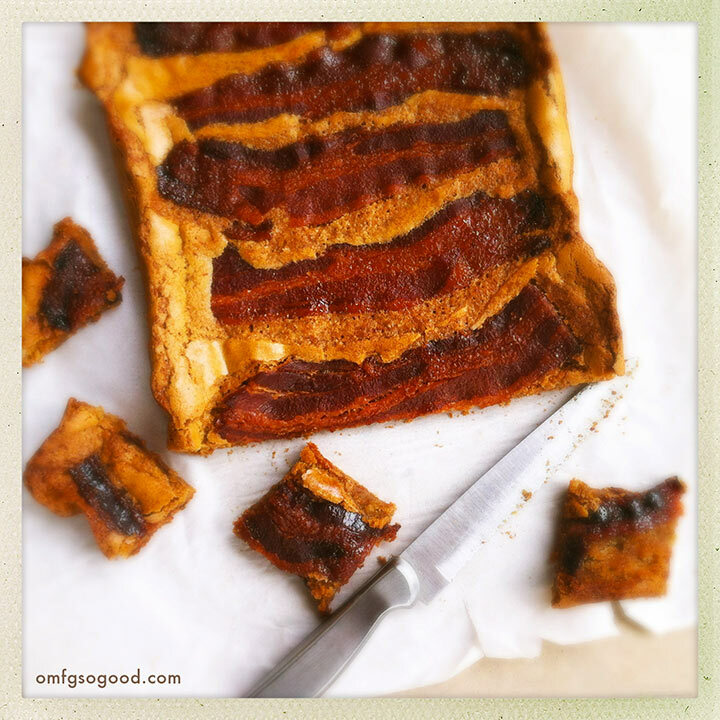 I made these, like, two months ago… and then totally forgot to write about them. 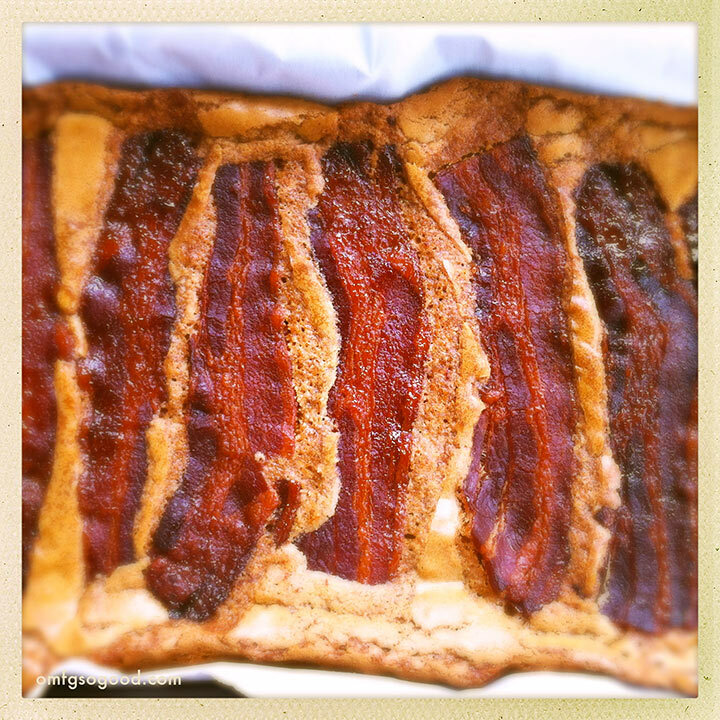 My only excuse is that I was struck with temporary, brown sugar-bacon-maple-buttery-chewy-cookie bar induced amnesia. Don’t laugh. It’s a real thing. 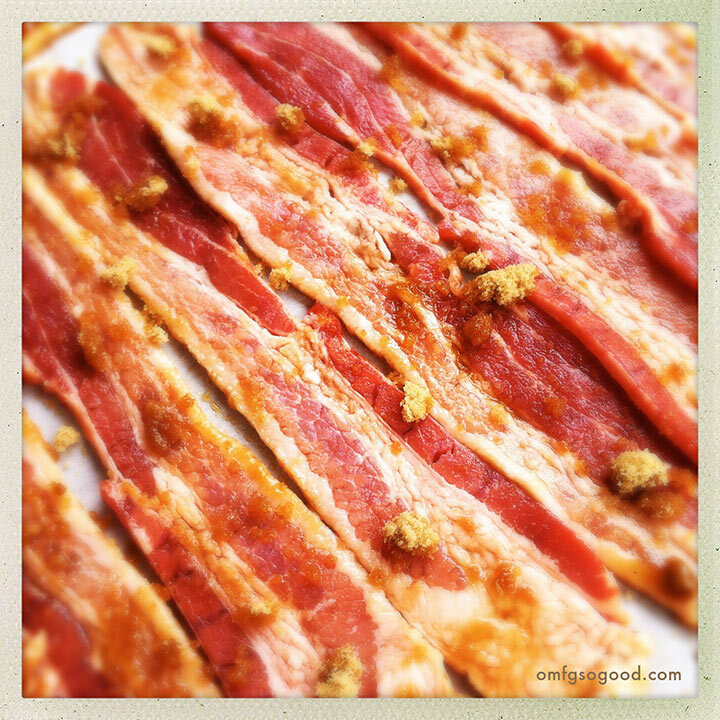 Cook the bacon in the preheated oven for 20 minutes. 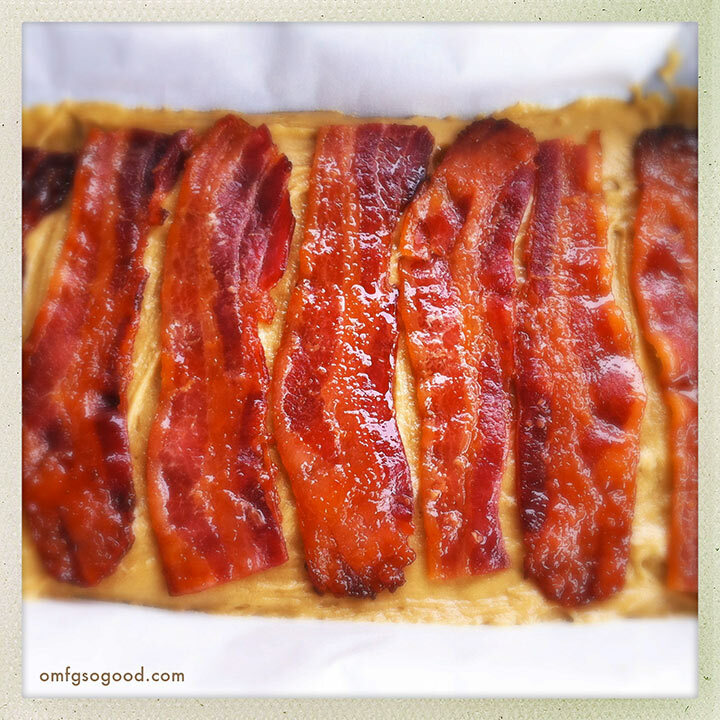 You don’t want to cook the bacon to well-done ‘crisp’ stage, it will finish crisping on top of the blondies. To make the blondies, line a 9 x 13″ pan with parchment paper, leaving extra on the sides to lift them out of the pan easily after baking. Keep your oven set to 325. 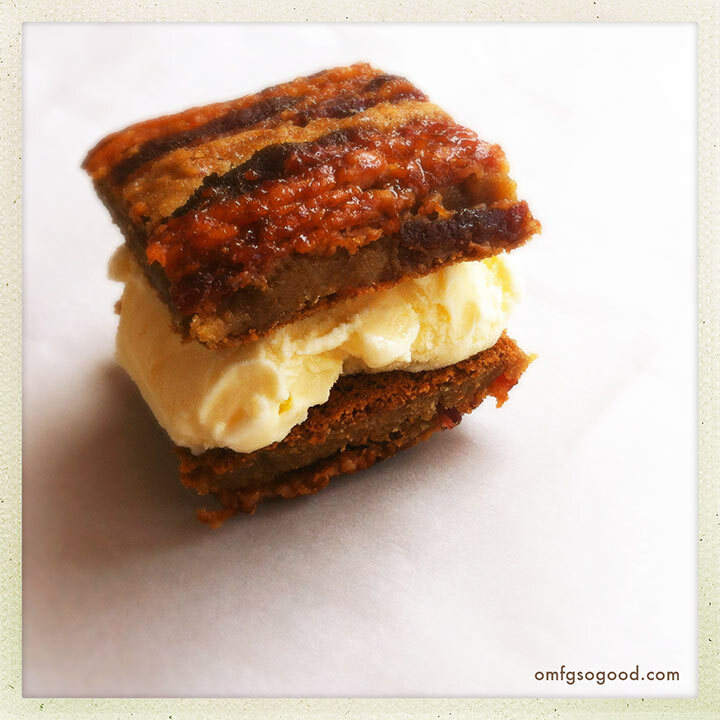 Seriously, it’s like eating a pancake topped with syrup, topped with bacon… but in cookie bar form. Nope, nothing wrong about that. At least, from what I remember.